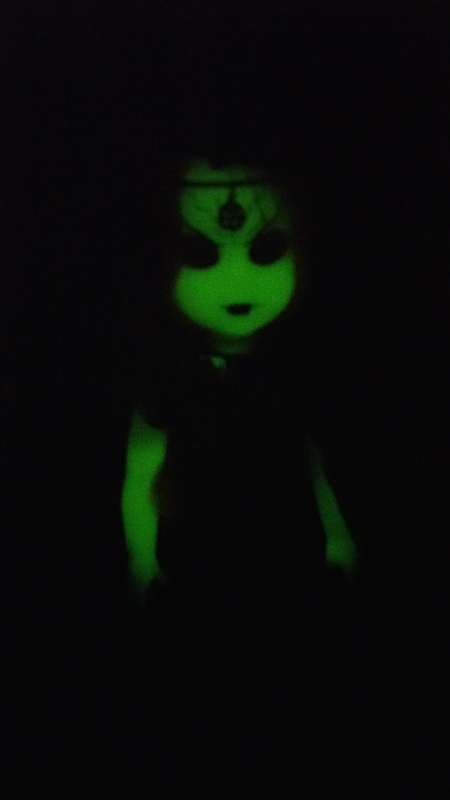 Walpurgis glows in the dark and she’s limited to 50. 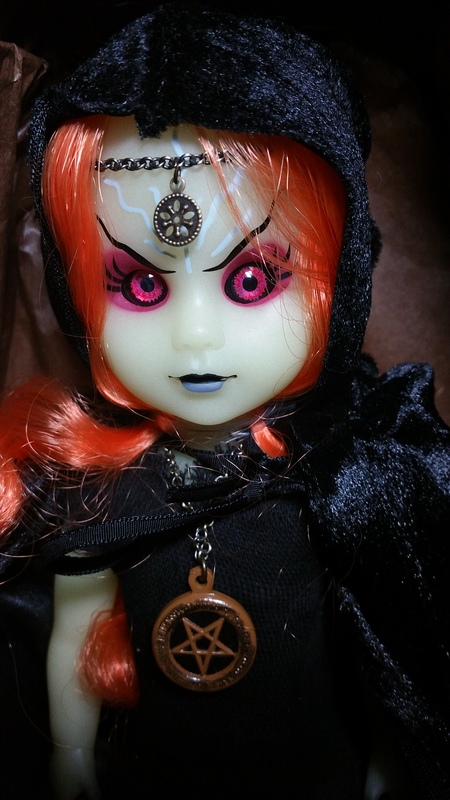 She was released in 2015 at Comic Con and is an extremly unique doll. 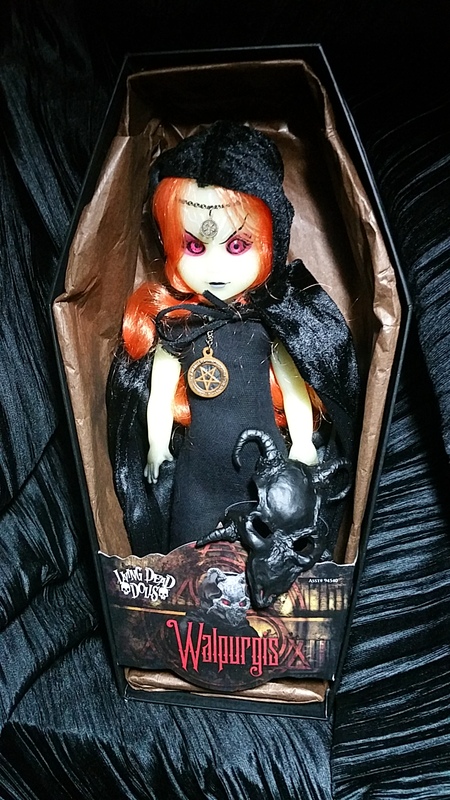 The original Germany exclusive Walpurgis has been one of our favorite Living Dead Dolls because she’s so sinister and demonic. Walpurgis completely stands out with an inverted pentagram and straight up mask that makes her look Satanic in all her glory. Ed, Damien, and Mez really hit the ball out of the park with this exclusive. 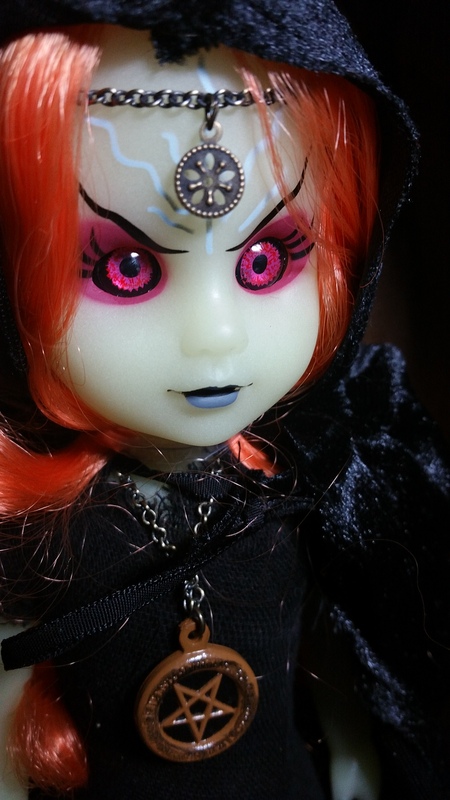 Please feel free and message us if you’re interested in a Glow in the Dark Walpurgis for your collection. 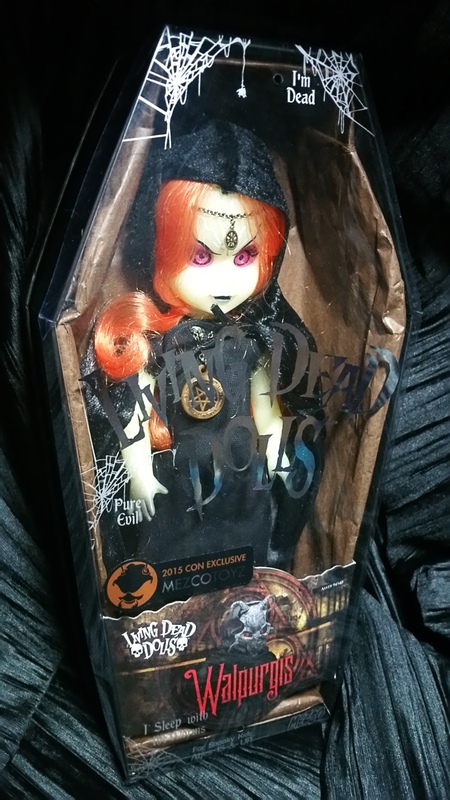 sullentoys.com | We buy, sell, and trade Living Dead Dolls.